Whoever said Effi Briest is like Anna Karenina has rocks in his head. If ever there was a more disappointing comparison, I don’t know of it. Anna and Effi? One is elegant and charming and womanly and passionate; the other swings in the backyard by the heliotrope one day and is engaged two hours later to a former beau of her mother’s. 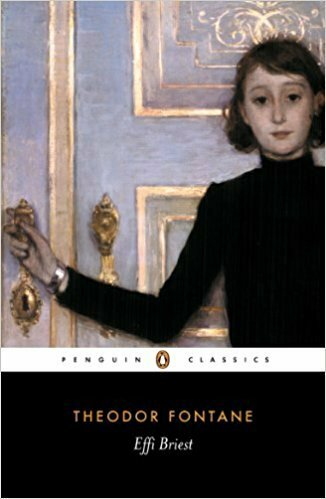 Effi succumbs to the attentions of a womanizing Major, who near the end of the book dies in a duel with Effi’s husband. There is no issue of love here, only terribly naive infatuation, and immaturity, on the part of Effi. Begun in November, finished in December, for German Lit Month led by Lizzy and Caroline.